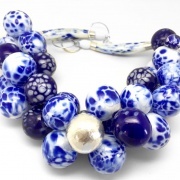 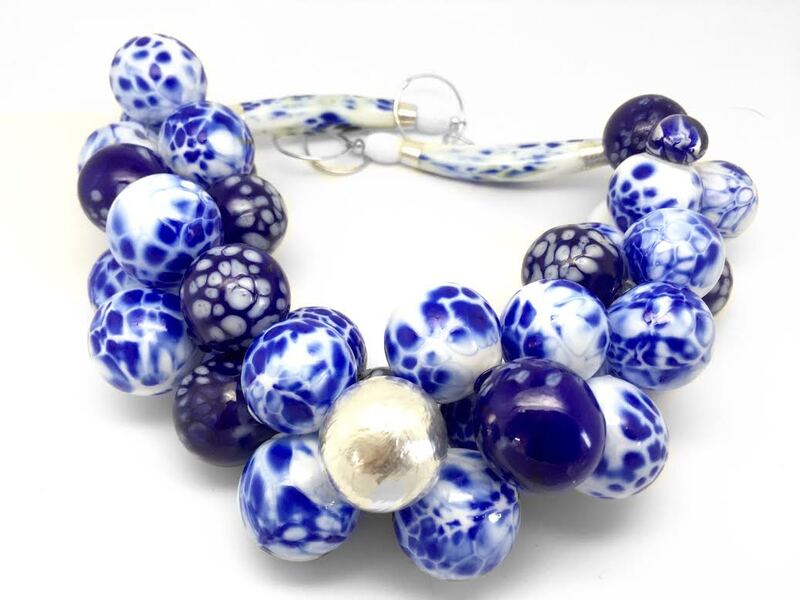 This necklace consists of 37 hollow beads in the traditional Delft Blue colors white and dark blue . 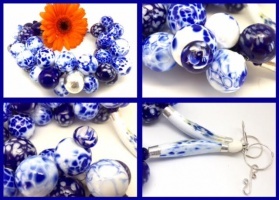 The beads and tubes are all blown on a blowpipe. One of the beads and the tubes are covered with silverclay for that special look and one bead has a little implosion on it. 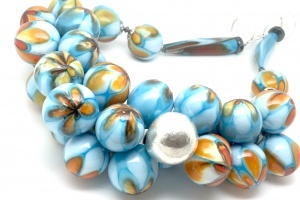 The tubes are 60 mm long and the beads are aproximately 20 mm in diameter. 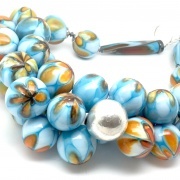 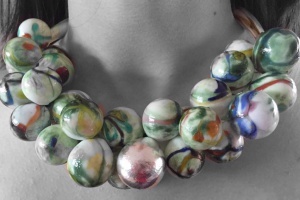 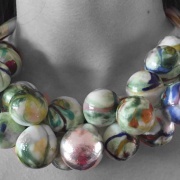 This necklace is a real eye-catcher and not as heavy as it looks. 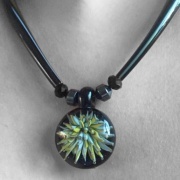 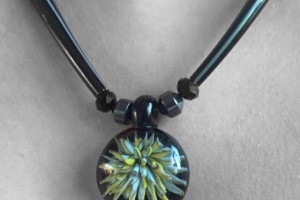 The necklace closes with a handmade, adjustable silver clasp.